To me it can be really tempting.... once we get to a comfortable place....... to just sort of coast for awhile. I know after I went through my '4 years of tears' struggle I was so happy to be out of agony that I basically took the next year off spiritually..... that's how intense the struggle had been. I do notice sometimes though that I have become too complacent... too accepting of what the day offers instead of challenging the parts that need to be exposed, routed and trounced. This is especially true when I am uber busy with work.... 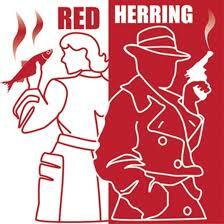 It is a distraction.... more like a red herring.... which keeps me from doing the more important stuff. Since I don't have a 9-5 job I often (usually) work from about 6 or 7am till about midnight or 1am.... 7 days a week.... From that schedule I take time out to do the things I want... but sometimes I get so wrapped up in work that I don't do the things I 'should'...... which is totally ridiculous, cuz the things I 'should' do are the ones that will bring me everything I hope to achieve and acquire through work... things like a sense of contribution, accomplishment, helping others and making their lives a little more pleasant.... and even giving me greater abundance and well-being.... those are all to be found by conducting spiritual work and acting on any inspirations that come from it.... but I routinely get tricked into seeking them through my job.... even though I know better.